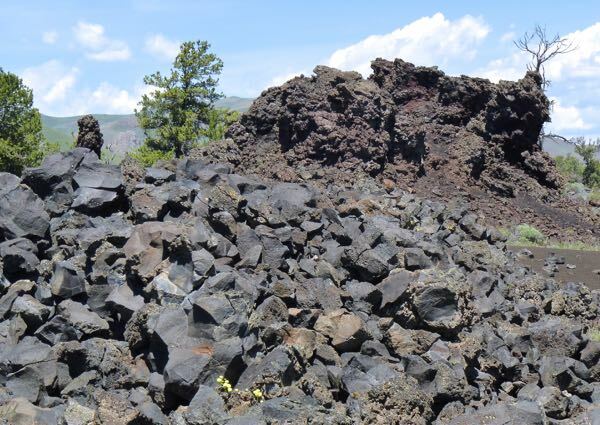 I was expecting Craters of the Moon National Monument to be similar to the lava flows at Valley of Fires in New Mexico. 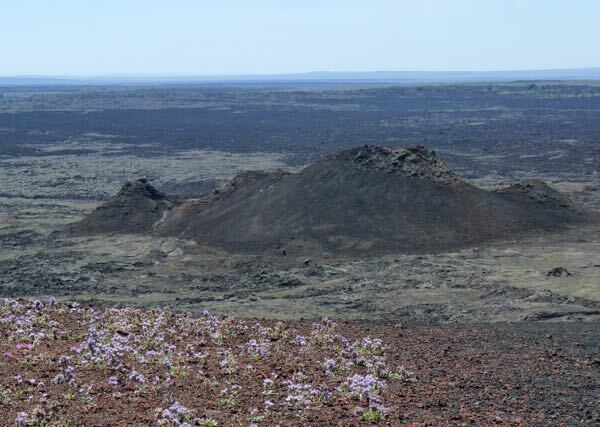 Some features were similar; like the lava fields, and vegetation. However, the scenery and viewpoints were more varied. An RV friend met me there for a couple of days exploring. 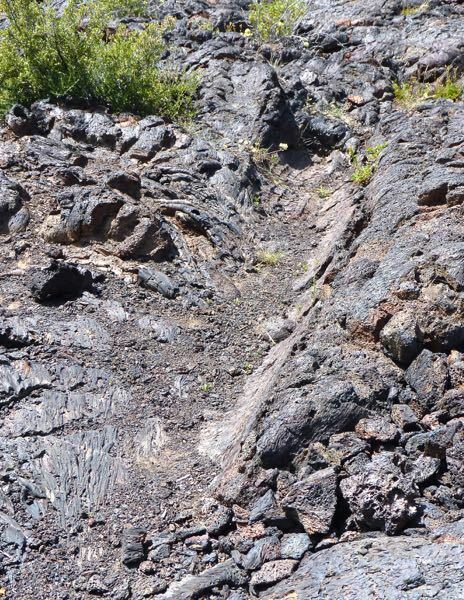 The first trail did remind me of the lava beds I had seen, with rough and rope types, cave-ins and tubes. 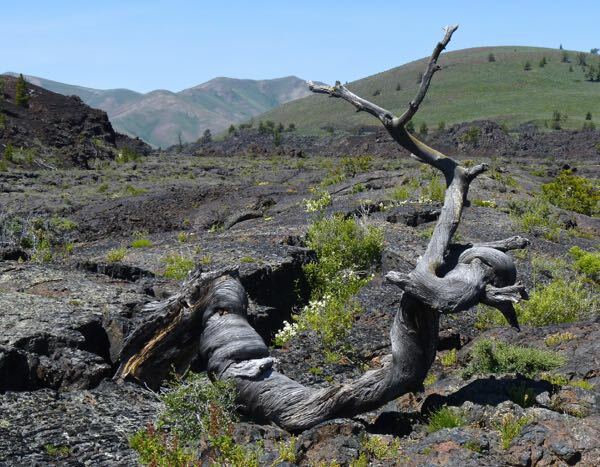 The path in Devils Garden took us by piles of lava rock, pines and wildflowers. 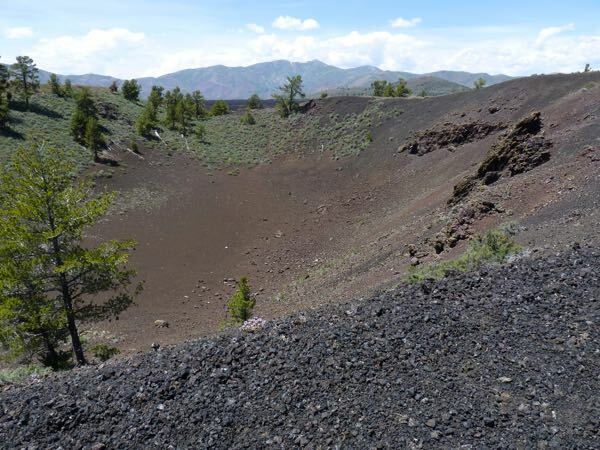 Next was Inferno Cone; a short, steep trail up to the top of a cinder cone. 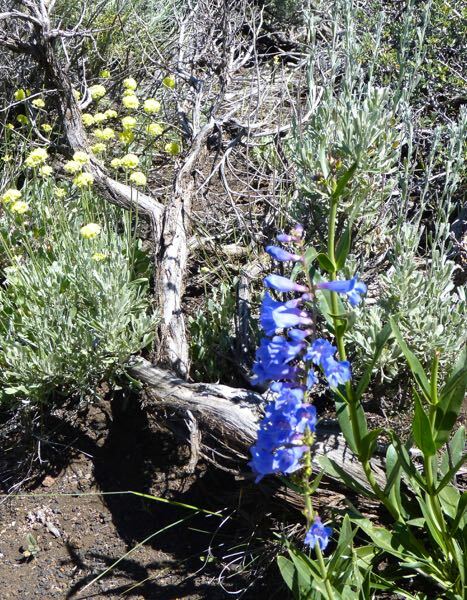 There were trees and wildflowers growing atop, with a nice view of other cones and the surrounding landscape. As we continued on the scenic drive, we came upon a picnic table under a large tree; so we took a lunch break. The spot had a good view, and a pleasant breeze, that provided a welcome respite from the heat and harsh lava rocks environment. 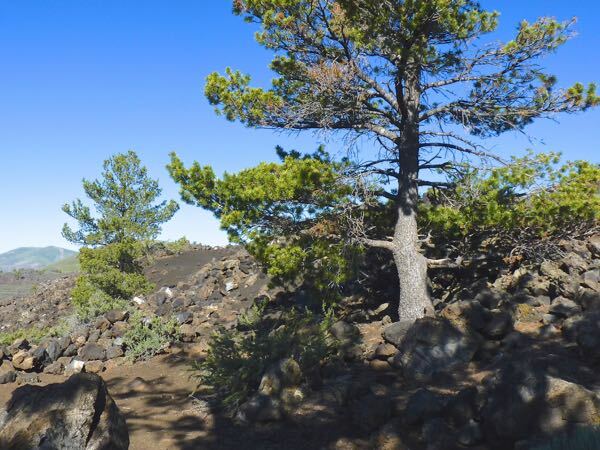 Our last hike was the Tree Molds trail to see impressions left in the lava. It was the longest path we hiked with only a small crater along the way for interest. At the end, were two molds; one vertical and the other horizontal. The shape and texture of the trees was preserved nicely. We were able to camp next to each other, which allowed us to get caught up while we played a board game. There were more trails; but, we settled for spending some time at the Visitor Center looking at displays and watching a few films about the discovery and founding of the monument. I hope you were able to tour the atomic plant while in Arco and of course see the submarine. I didn’t stop in Arco. It was merely the nearest town to the monument. Instead, I went the other way and into the Sawtooths. 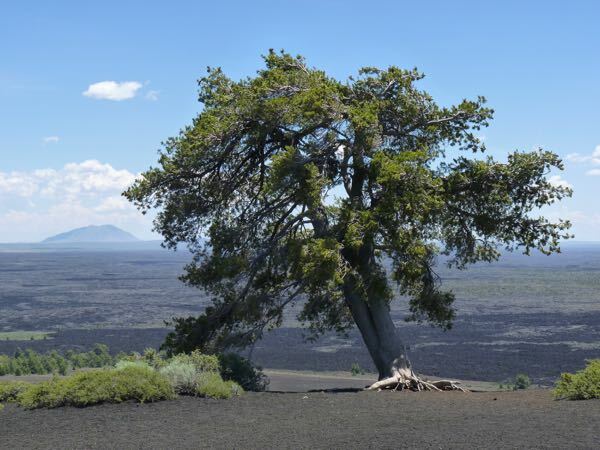 I stopped at Craters of the Moon a few years back and spent a nice afternoon at the V.C. and driving around to see the terrain. As it was only the 2nd day of my annual journey to the east, I only stayed one night and didn’t hike any trails. I had the best campsite of any I’ve ever found in a National Park, and would like to go back in the future with Craters as a destination, and spend a few days exploring. Craters is an interesting place. Hope you get the chance to visit it again and do more exploring.